The good doctor and the rest of his neighbors in Portwenn continue to produce a charming show. This show may not be everyone’s cup of tea, but its offbeat cast of characters continue to delight those willing to seek it out. 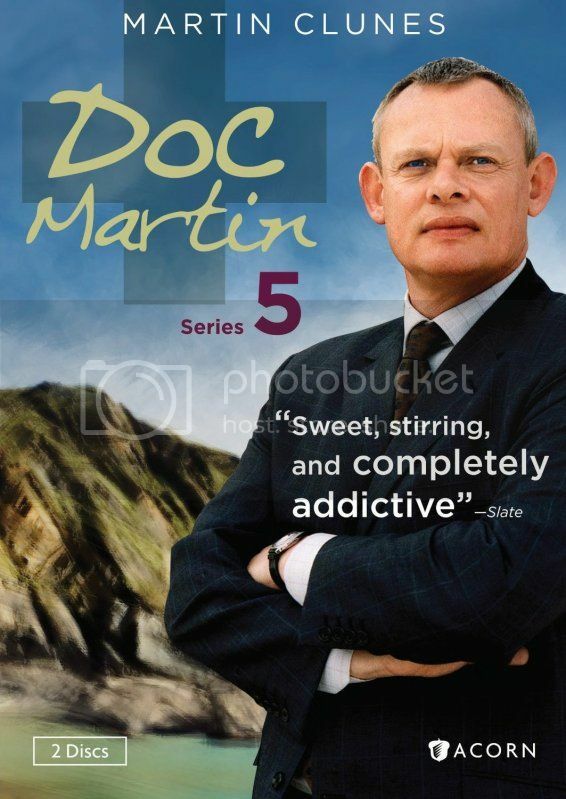 Each episode finds the titular doctor (Martin Clunes) assisting a patient or two of the week, usually discovering the cause of their illness or heroically saving their lives by the end of the show. Outside that simple premise, the show explores the ongoing relationships of the fascinating locals, with special emphasis placed on the seemingly ill-suited romance between the grumpy doctor and the lovely and charming head schoolteacher, Louisa Glasson (Caroline Catz). The series is also completely defined by its setting, shooting nearly everything in the tiny and extremely scenic fishing village of Port Isaac (renamed Portwenn for the show) in Cornwall on the southwest tip of England. The good doctor has gone through some life changes over the course of this show, but he’s still as curmudgeonly and socially awkward as ever. When he first arrived in the charming seaside village of Portwenn as their sole doctor, he had a crippling fear of blood that had triggered his flight from the high-pressure stakes of London medical practice. He was also single and childless. Fast forward to series 5, and he’s largely conquered his blood phobia, shacked up with Louisa, and had a son with her. The show mines laughs out of the misanthropic doctor being forced to participate in baby duty, but doesn’t overdo that aspect. Since the writers seem to be unwilling to allow Martin and Louisa to have a peaceful relationship for any meaningful amount of time, this season finds Louisa so fed up with Martin that she eventually leaves him, but the whole storyline seems pointless since we all know they’re ultimately meant to be together. He’s also tempted by a new job opening in London but fearful of his clueless intended replacement sent to Portwenn. Elsewhere, Martin deals with the death of his beloved aunt Joan and forges a deeper relationship with his newly arrived Aunt Ruth, someone cut from the same miserly cloth as himself. She’s a more interesting character than the nurturing, sweet Joan, but just like him seems to be an odd fit for lengthy residence in Portwenn. The only other significant new arrival is his flaky receptionist, Morwenna Newcross, offering slight comic relief in his medical office but little character development. Aside from those two additions, most of the original cast return to continue their fleshing out of the quirky populace of Portwenn. The medical cases presented each week are little more than an excuse to get the cast together at this point, as the real reason to keep watching is the winning interactions between the fascinating characters. The show has very simple charms, doesn’t rely on any grand statements or stunning plot arcs, and yet something about its down-to-earth nature makes it a continuing joy to watch. The current word is that its next series filming next year will be its last, but thanks to Acorn we’ll be able to continue enjoying the show on DVD for years to come. The DVD set includes a full hour of behind-the-scenes featurettes, along with cast filmographies and a photo gallery.